After years of publishing books of a rather staid and provincial nature like the good New Englanders they were, the folks at Houghton Mifflin decided thirty years ago to add some spice to their yearly catalog when they enlisted a successful Los Angeles publisher of mind, body, and spiritualism titles to their annual mix. Jeremy P. Tarcher and his idiosyncratic West Coast taste for alternative lifestyle books seemed at once to be quite an odd fit for a venerable old Boston publishing house, which had published the likes of Emerson, Longfellow, and Churchill. Tarcher had come from a show business background before he founded his publishing house, which had its offices in the heart of the Sunset Strip, only a few blocks down the street from Tower Records, Wolfgang Puck’s Spago, and Book Soup. His books were written by a disparate group of authors such as Betty Edwards, David Lynch, Julia Cameron, Joan Rivers, Erica Jong, and Johnny Carson. I vividly remember the mystified faces of my peers scattered around the meeting table at our semi-annual sales conference the first time Jeremy presented his books for the forthcoming season. 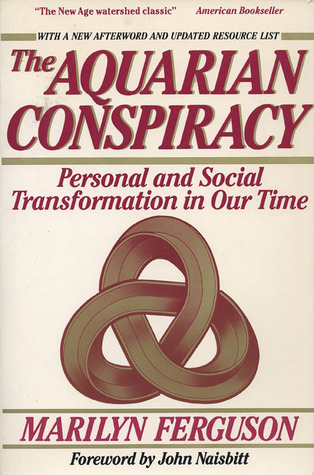 When he described the particular elements of Marilyn Ferguson’s The Aquarian Conspiracy, one could have heard a pin drop in the room, given the hushed reaction of those present. Ferguson’s book offered a cutting-edge attempt to create profound change in our society and institutions, but her message confused many who thought it was just another astrology book. This particular assembled group was much more accustomed to hearing an editor’s pitch about a new novel by Howard Fast, or a newly revised edition of the American Heritage Dictionary. However, as that first week progressed, Jeremy’s intelligence and playful personality easily won over his skeptical audience. There was a unique lilting cadence and pacing about his speech pattern, and many of us were captivated by his original style and panache. Jeremy Tarcher is a native New Yorker who met and married ventriloquist and puppeteer Shari Lewis and helped produce her first network show for NBC in 1960. 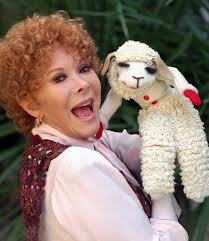 Her loveable wooly-headed “Lamb Chop” entertained and mesmerized several generations of children in her long and storied television career. Tarcher specialized in non-fiction titles, and in the company’s infancy, he smartly utilized his long list of celebrity contacts. One of his first big successes was the publication of his friend Johnny Carson’s Happiness is a Dry Martini. He also published Joan Rivers’ book, Having a Baby Can be a Scream, in 1974. His company produced a number of best-selling books that had exceedingly long bookstore shelf lives. When Houghton Mifflin joined forces with J.P.Tarcher, Betty Edwards’ Drawing on the Right Side of the Brain was one of the hottest books of that time. We enjoyed great success in following years with Women Who Love too Much, as author Robin Norwood made guest appearances on just about every radio and television talk show in America. In the early 1990s, Julia Cameron’s The Artists Way, succeeded in finding a huge audience in the same pattern Edward’s “Drawing” had experienced in earlier years. As the local field rep for a Boston based company, the location of the Tarcher offices on Sunset Boulevard represented my first experience of having an actual home base. Those first couple of years after joining forces with Tarcher, I spent many hours in their offices and enjoyed my new association with staff members. Jeremy had a favorite nearby Thai restaurant which afforded him the chance to entertain me and whoever else happened to join our party that day. The office atmosphere was known for accommodating and entertaining Southern California authors who dropped by for visits. 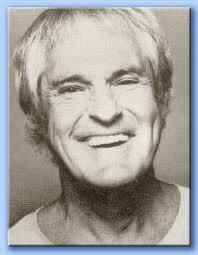 One of my meetings with Tarcher was interrupted by the arrival of his luncheon partner, Timothy Leary. Jeremy took a phone call in another office and left us alone for several uncomfortable minutes. I wisely decided against bringing up the subject of hallucinogenic drugs or expanded consciousness. Fortunately, Jeremy returned quickly, and my lack of understanding of all things mystical and psychedelic went hopefully unnoticed in our brief encounter. Dr. Nathaniel Branden was a frequent guest in the Tarcher offices. I only met him once and found him to be a rather intimidating figure—which I believed to be his desired effect on those around him. Branden was an author of books on the psychology of self-esteem and had once been associated and romantically linked with writer Ayn Rand. He also wrote of his relationship with Rand and his years under her tutelage. I found myself making great efforts to place his books in as many stores as possible since I had given him my phone number. I was quite sure he would be trailing me in coming weeks and checking out bookstore windows for signs of his book. Tarcher had a couple of fine publicists in Kim Dower and Lucinda Dyer, who both helped me stay just one step ahead of demanding local authors—and that was no easy feat in a city that was home to so many of them. Michael Murphy, the co-founder of Esalen Institute, had published several books for J.P. Tarcher. He was a pivotal figure in what came to be known as the “Human Potential Movement.” During his under-graduate years at Stanford, Murphy had become interested in the integration of Eastern and Western thought, which eventually led him to India where he studied meditation. 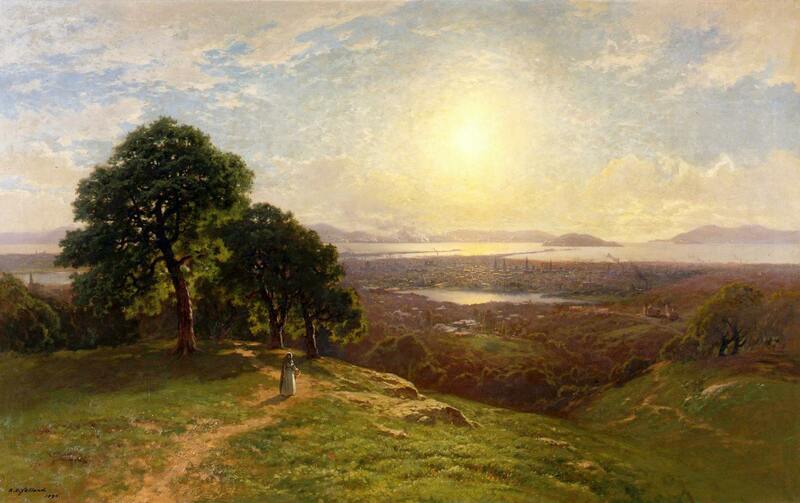 While growing up in Salinas, California, his family became close friends with writer John Steinbeck. Murphy has always claimed that he and his siblings were Steinbeck’s models for the characters in the novel, East of Eden. After an almost two decade span of publishing, Jeremy sold his operation to the Putnam Publishing Group in 1991. He remained in his same position after the sale of the company until 1996, when he opted for retirement from the business. His wife, Shari, died two years after Jeremy’s retirement. Their daughter, Mallory, continued her mother’s legacy by becoming a puppeteer herself, and kept the iconic Lamb Chop’s tradition alive and well with her many performances throughout the country. Jeremy Tarcher carved out a publishing niche for himself more than 40 years ago, and helped shape a movement that spread across the country in the decades to follow. His books on creativity, psychology, spirituality, and social consciousness made significant contributions in the human potential movement. His influence even won over a number of skeptical traditionalists back in Boston and had many of us reading books we would likely have never considered before his arrival on the publishing scene. Bob Vickrey is a freelance writer whose columns frequently appear in Southwestern newspapers including the Houston Chronicle and the Ft. Worth Star-Telegram. He is a member of the Board of Contributors for the Waco Tribune-Herald. He lives in Pacific Palisades, California.